Shakey and ! welcomed ZGT to the Clocktower studios on Monday March 7, 2011 for some chatting and some jamming. Zero Gravity Thinkers (ZGT) is an ongoing collaboration of Peter Principle (legendary of Tuxedomoon) performing with prepared guitar, bass, and synthesizer; Dok Gregory (Amoeba Technology, Psychic TV) performing with theremin, synthesizer, and sampler; and Zemi17 (aka Aaron Taylor Kuffner of the robotic Gamelatron) performing with EWI wind midi contoller, sampler, and tenor saxophone. In addition to various recording projects and live stage presentations, ZGT has created sound installations, music for dance, multimedia performances and soundtracks. They have performed in locations as diverse as The Brooklyn Bridge Arch, on Governors Island and along the East River as well as event spaces like the Issue Project Room, Chelsea Art Museum, Midway and Galapagos. 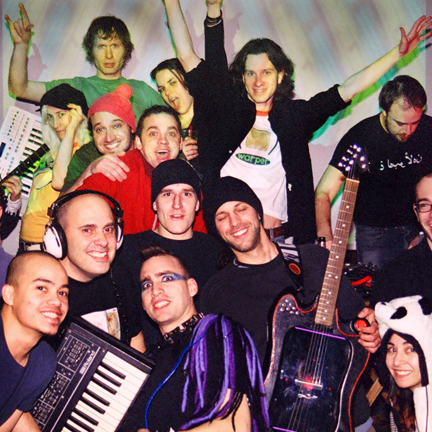 To date ZGT have completed two tours of the Russian Federation in 2009 and 2010, including the festivals APositia, Long Arms and Space of Joy. 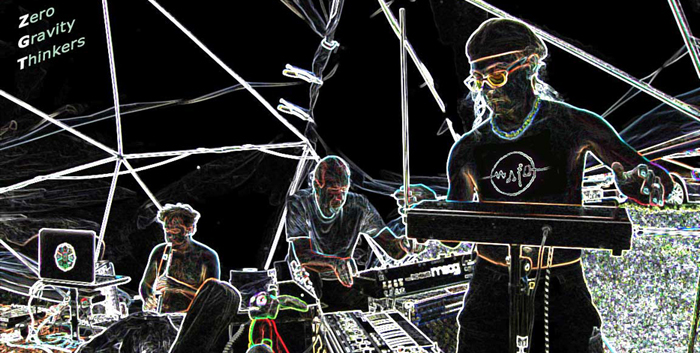 Their music has been described as both "strangely transportive" and "deeply psychedelic".